The upcoming United Nations vote to recognize Palestinian statehood should be a foregone conclusion, especially given the overwhelming support and sympathy for Palestine among the developing world. By the end of May, 112 nations had agreed to recognize statehood, and Palestinians expect to have 135 votes by September—more than the needed two thirds of the 192-member General Assembly. There are no moral, legal or logical reasons to oppose recognition, but morality, law and logic have little relevance where Palestine is concerned. Already Israel and its legions of client states and hasbarats are bullying, bribing and blackmailing the UN and its member states into scuttling the vote. Just a few weeks ago Benjamin Netanyahu bribed Romania and Bulgaria into voting against Palestine with the promise of allowing 1,200 citizens from each country to work in Israel. Amazing how cheaply Arab lives can be bargained away on the world market! We shouldn’t be surprised at this gangsterism, though. This is strategy the Zionist lobby used 64 years ago to force the UN into “creating” the state of Israel. By late November 1947, the issue of a Jewish national home had yet to be settled. On one side were those who sympathized with partition of Palestine because of the persecution the Jews suffered under Hitler’s Reich. On the other were those who recognized that such a plan was grossly illegal and a violation of fundamental UN principles of justice. By the 25th, the Zionist lobby realized that it did not have the requisite two-thirds majority in the General Assembly to support partition. Extraordinary measures had to be taken. On Nov. 29, the Partition Plan, known as UNGA Resolution 181 narrowly gained the required two thirds—33 in favor, 13 opposed, 10 abstaining and 1 absent—yet the resolution a violation of the UN Charter, since the UN has no authority to take land from one people and give it to another. One of the most enthusiastic supporters of this coercion was Canada; in fact, Supreme Court Justice Ivan Rand wrote the offending resolution. As a result, 726,000 Arabs were made refugees in their own land from November 29, 1947, until the end of 1948, according to the UN Relief and Works Agency for Palestine. Walter Eytan, Director General of the Israeli Foreign Ministry, referred to the UNRWA’s figure as “meticulous” and believed that the real number was closer to 800,000. Moshe Dayan would later admit: “There is not one single place built in this country that did not have a former Arab population.” (Ha’aretz, April 4, 1969). 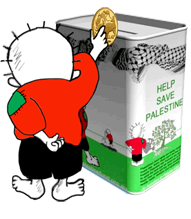 Jump ahead to 2011 and the same bullying, bribery and blackmail are being used to deny Palestine the victory it has already won. The U.S.’s UN ambassador Susan Rice said the prospect of Palestinian statehood being endorsed was the single greatest (!) threat to continued U.S. support for the UN. A Senate resolution, signed by 407 of 435 members, threatens to suspend all financial assistance to Palestine if it goes ahead with the vote. None of these decisions serves the U.S. national interest or world peace. They do, though, harm the U.S. national interest and world peace by tacitly supporting Israel’s declared policy of keeping Gaza on the brink of starvation. For its part, Canada, now Israel’s most enthusiastic errand boy, has been “lobbying” smaller countries to oppose the vote. Many of these countries are in need of debt relief and overseas trade, and Canada, as a member of the G8 and OECD, has plenty of leverage to do to these countries what the U.S. did to the Philippines, Haiti and Liberia. Zionist coercion has already forced financially vulnerable Greece to blockade the Gaza Freedom Flotilla. Georgios Ayfantis, a consular official in Vancouver, admitted that Greece is afraid of Israel, and that the sabotaging of Palestinian relief efforts is a quid pro quo for getting an undersea natural gas pipeline and liquefied natural gas plant on Crete. Securing UN recognition of Palestinian statehood would both carry great moral weight, and presage a formal request for membership. Normally, such a request requires a recommendation from the Security Council, but any such attempt would be vetoed by Israel’s proxies. In fact, Obama publicly declared that no vote at the United Nations would ever create a Palestinian state, as if he were in a position to make such a claim or had the authority to dictate to the General Assembly. Nevertheless, Palestine has a way around Israel’s Security Council blockade—UNGA Resolution 377 (“Uniting For Peace”). “Uniting For Peace” was first used to resolve the November 1956 Suez Crisis after Security Council belligerents France and Great Britain vetoed UNSC Resolution 119. The result was UNGA Resolution 1001, which restored international peace and security through the establishment of the UN Emergency Force. 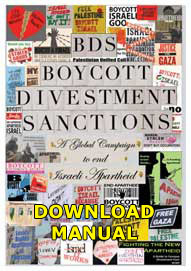 • UN membership would internationalize the Occupation, and define it as a legal matter as well as a political one. Palestine could thus demand and receive protection from the UN, which is bound to maintain the sovereignty of its members. • Such membership would make Palestine a legitimate member of the UN, unlike Israel which has never respected the terms of admission. • Palestine could pursue claims against Israel at the United Nations, human rights treaty bodies and the International Court of Justice. 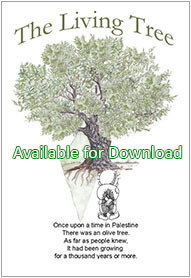 • Palestine could have its voice heard in a host on international cultural and economic organizations, like the World Health Organization, UNESCO, as well as association with the European Union. In short, UN membership would mean that Israel’s systematic murder and dispossession of Palestinian Arabs could no longer be officially ignored. That is something Israel and is client states like Canada are desperate to prevent. The UN has a chance to atone in part for the betrayal of Palestine 64 years ago. Does it have the courage to do it?